Six hundred years ago today, on the morning of the 25th of October 1415, a small band of English archers commanded by Henry V won a great military victory in France in the Hundred Years War. It was known as the Battle Of Agincourt, and it has been celebrated ever since in English history as perhaps the greatest underdog story ever, a tale of English grit over French arrogance. The legend was most famously retold by Shakespeare in Henry V, from where we get the phrase ‘band of brothers’. 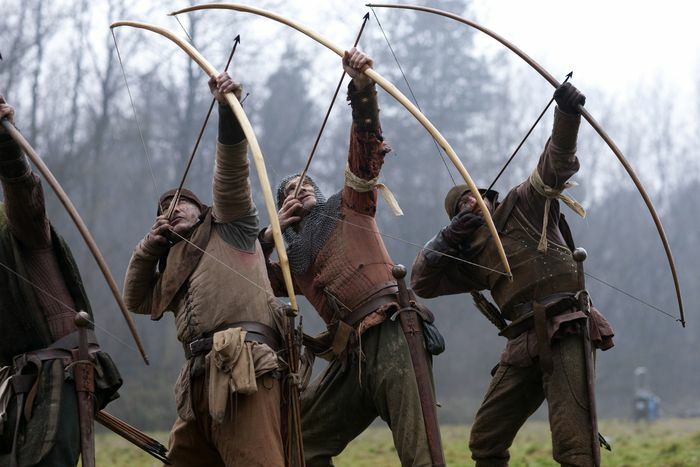 Agincourt remains the greatest moment for archery in military history. The era was notable for English armies with ranks of thousands of longbowmen able to hold off approaching armies at hundreds of yards. The effectiveness of massed longbows had been tested at the Battle of Crécy almost a hundred years earlier, but Agincourt, where the sky was “dark with arrows” incapacitating a much larger French army – just how large, has long been debated – remains the high point for the weapon. 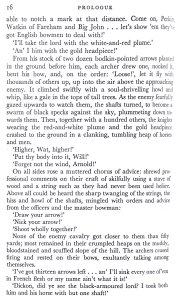 It was a brutal, grimly violent encounter, but without the longbows, there would have been a massacre. Soon afterwards, gunpowder would spread across the world, and the longbow would rapidly leave the armouries of England. There are news articles aplenty about Agincourt in most UK newspapers today, and dozens of books on the subject, but you can start with the Wikipedia page and work from there. 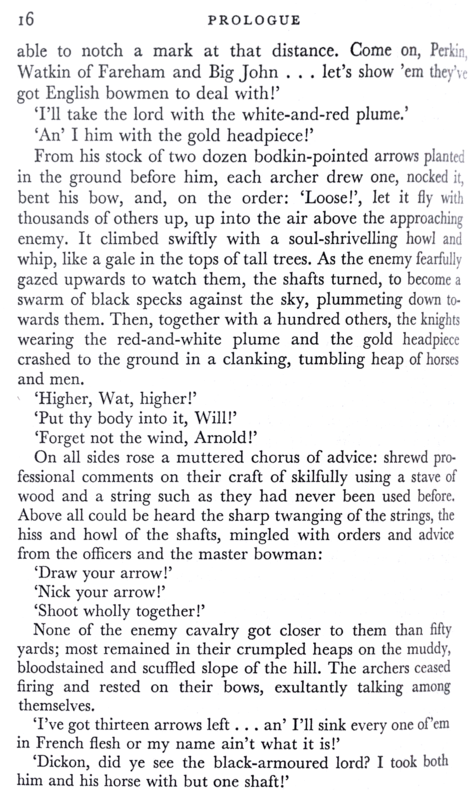 For a deeper focus on archery, you should probably read Robert Hardy’s classic ‘Longbow‘ which has an extensive chapter on the battle. 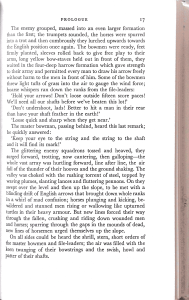 My favourite bit of writing on Agincourt remains ‘The Bowmen Of England’ by Donald Featherstone, a couple of pages of which I have reproduced below. You could have a look at what the Agincourt 600 movement has organised. 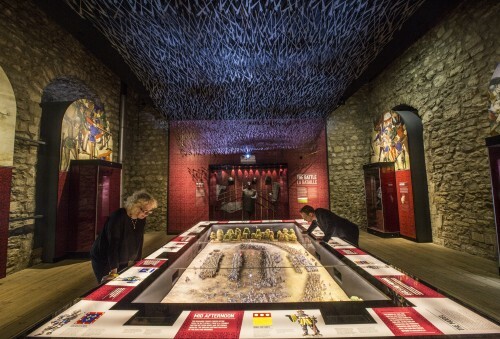 In London, at the Tower Of London, there is an extensive exhibition running until the end of January featuring an overhead ‘shower of arrows‘ (below). Am intrigued by the novel written by this lady too. Right, I’m off to the south coast to loose some arrows towards France. Who’s with me? Great story. I enjoy history. I read an account that claimed it was raining on the day of the battle. The French knights, on horse and heavy with armor got bogged down in mud during the charge, great numbers of them bunched together and unable to move freely making them easy targets for the English longbows. Is that the case or am I mistaken? Not being a historian, or even that well-read about Agincourt, I can’t confirm it. I have read that mud was a big factor, though.